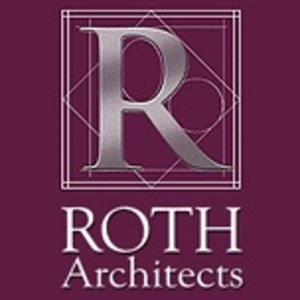 Roth Architects, Inc. is a unique residential architecture firm with offices in Evanston, Illinois. Founded in 2000 by its principal and president, Scott D. Roth, the firm brings a wealth of residential and light frame commercial architecture expertise to builders and developers of all sizes. Under the leadership of Roth, the firm has capably transcended its geographic roots in New Jersey to serve Chicagoland clients on a diversity of projects, including custom home designs, active adult communities and clubhouses, multi-family housing, and single family and townhome communities in the region. The firm’s versatility is a testament to the depth and scope of Roth’s expertise as a specialist in residential architecture of every flavor. Indeed, Roth’s impressive background spans nearly 20 years with mid-and large-sized architecture firms in the Philadelphia region, where he earned a reputation for hands-on design and close collaboration with builder/developer clients. It was Roth’s passion for roll-up-your-shirt-sleeves design that led him to start his own service-driven firm, where quality, not quantity, is the focus. Roth’s philosophy of service is a personal statement on doing the best for each client: Liking what you do determines how well you do it. For Roth, this means finding the most talented professionals in the industry to solve clients’ most vexing problems — and everyday concerns.